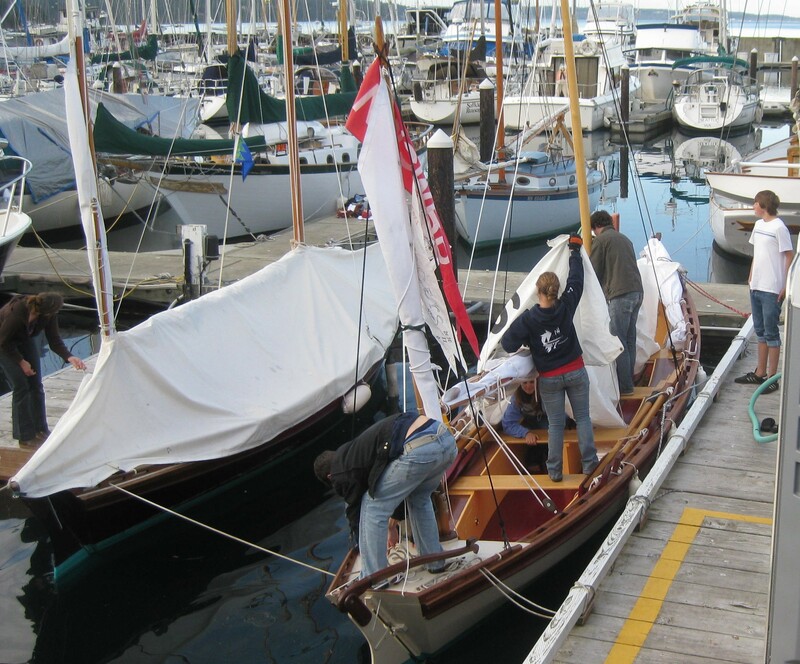 The idea-seed of Puget Sound Voyaging Society (PSVS) started with the Puget Sound Explorers (PSE) program of the Wooden Boat Foundation of Port Townsend in 1993. In 2008, the main organizers of PSE, Teacher Marci Van Cleve (A 2008 American Red Cross ‘Hero’ Award recipient for, “25 years of saving young peoples lives through educational excellence”), Captain Wayne Chimenti (2009 Peninsula Daily News/Jefferson Rotary ‘Heart of Service’ Award for organizing the Voyaging Class/Community Boat Project), and Captain MB Armstrong formed their own 501.C.3 Non-Profit Organization: PSVS. They continued the Explorers theme with an on-the-water Voyaging program ‘Inspiring students with Maritime Culture’; and, in partnership with the Northwest School of Wooden Boatbuilding branched out with the Community Boat Project; ‘Building Community through Building Boats’. These are both free, accredited, weekly classes for high school students from two school districts, taught by maritime professionals and supported by volunteers. In the last three years over 12,000 volunteer hours were put into the PSVS programs by inspired community members and local retired or active maritime professionals. This often results in a 2-1 student to mentor ratio. The CBP students and volunteers have built three ‘longdories’ (24-29’ open rowing-sailing boats) complete with rig, sails and oars. These are now used by the Voyaging program. 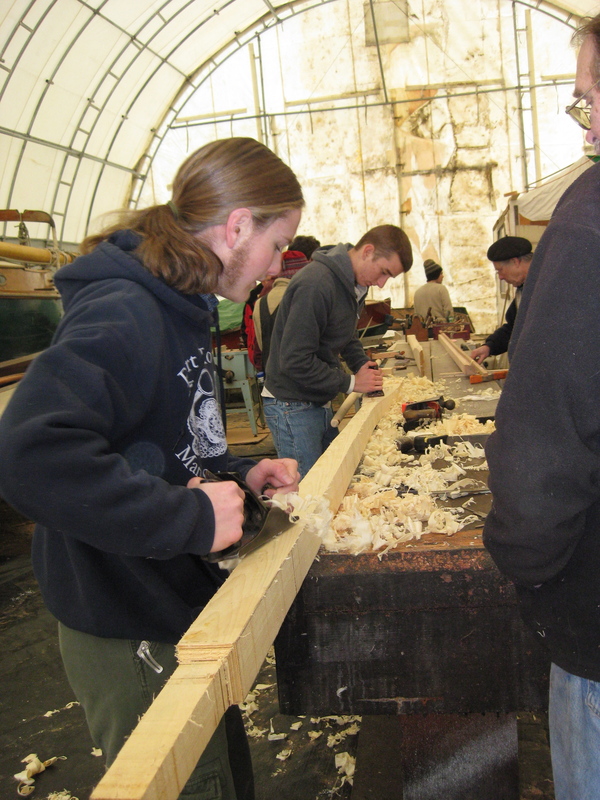 They gather every Thursday – High schoolers of all grades, shipwrights, teachers, sailmakers, riggers, young and old, and those just looking to give a hand. They get together to build our community a boat. But really the boat builds our community. Students at CBP not only learn with their heads, but their hands, meanwhile they meet and work one on one with mentors and elders of the community. Together they are creating a usable gift for the community. 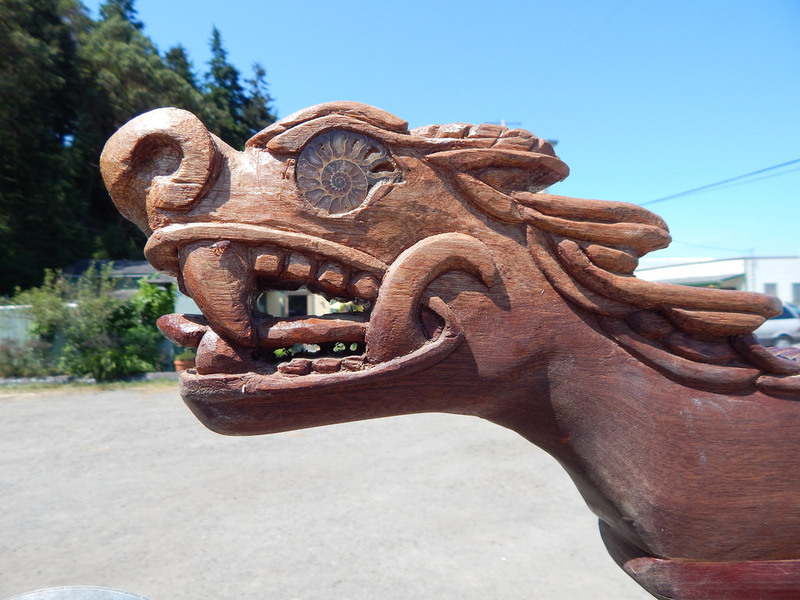 “ It’s the best day of my week.” says Jim Peacock, one of the great-granddaddies of Port Townsend shipwrights. Now retired, he comes to guide students through the art of oar-making. Wayne and Marcie put together the first Maritime program for Jefferson County in 1993 – Puget Sound Explorers. It continues today sponsored by the Wooden Boat Foundation. 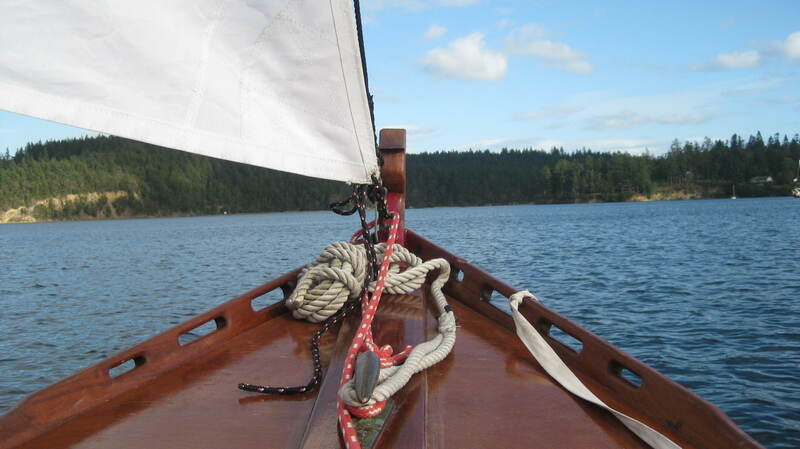 The idea of the “Voyaging” class came while on a journey last summer in which two boats of youth accompanied the New Old Time Chautauqua (NOTC) for a 20-day tour of the San Juan Islands and North Puget Sound. NOTC is an all-volunteer traveling performance group which brings entertainment and social messages to rural communities. “That experience of youth on a long voyage, and two boats side by side was amazing. 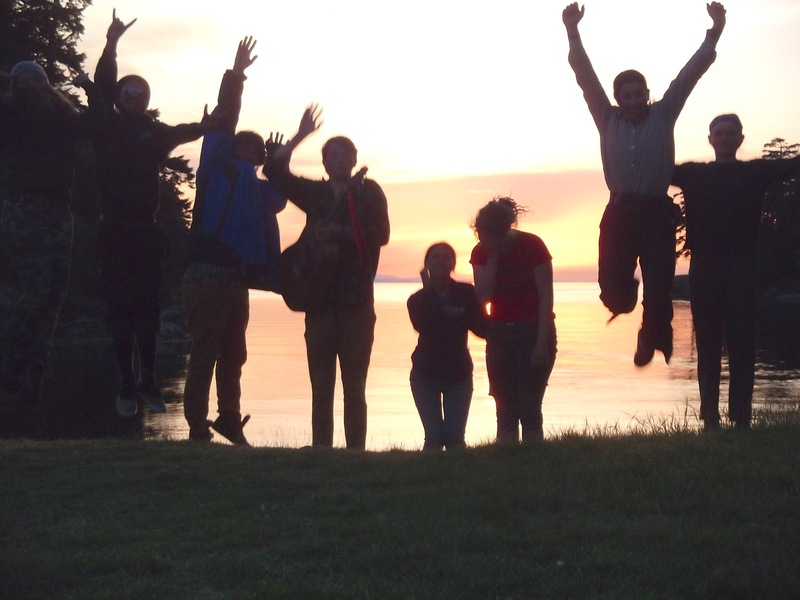 We came away from that trip saying ‘Let’s take what we have learned and design the ultimate Youth Expedition Ship (YES). And let’s build it ourselves. No, even better, let’s teach the youth to build it themselves!” said Captain Wayne. That was mid-August. “We had no money, no boatbuilder, no shop, and one month until school started. What could go wrong?” They said laughing. Local businesses, individuals, and foundations all stepped forward with wood, sailcloth, glues and screws, as well as cash to keep the project moving forward. This is a community volunteer, “O” overhead and administration project where every dollar goes to front lines of education. At present $20,000 worth of donations, 1,500 volunteers hours, and 30 different tradesmen volunteering. The vessel is a 24’-30′ Dory style vessel, that rows 8 sweeps, carries 10-11 Voyagers, and has a traditional gunter yawl sailing rig. With many watertight compartments, sturdy bulkheads, and a WEST system glass coated plywood hull these boats are virtually unsinkable, yet light enough for the crew to carry onto a beach. “You could probably drop this boat from a 747 and it would bounce,” joked local designer Kit Africa. He and Jim Franken originally designed the hull for Mick Bird to row around the world in. He made it across the entire Pacific and then from Australia to Indonesia – over 10,000 miles under oars alone. 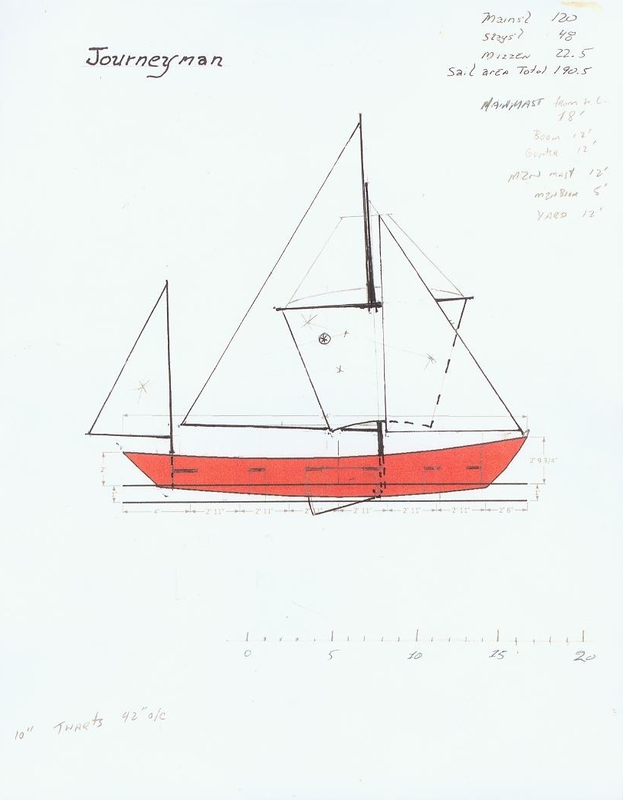 This is a proven seaworthy design! “Mick Bird’s story was one of our inspirations” said Wayne, “He had a dream and made it happen.” As Mick himself said, “you just get started and the rest follows.” Mick jokingly called it the “Flying Sawdust Project” when he first started with nothing, but by the end he had rowed solo across the Pacific, was hooked by satellite to 32,000 schools and had Jackson Brown helping with his music video. The vessel, called a longdory is an “Eco-appropriate” vessel. Low impact – sails and oars with a solar recharged state of the art electric outboard. The paints are sponsored by E-paints of Falmouth, Mass. Environmentally friendly paints, even bottom paint with no copper. “If you want to talk sustainable boat construction it is hard to beat WEST system.” says boatbuilder Russell Brown. No rust, no electrolysis, minimum materials, a renewable resource, and if properly maintained lasts longer than any other type of construction. 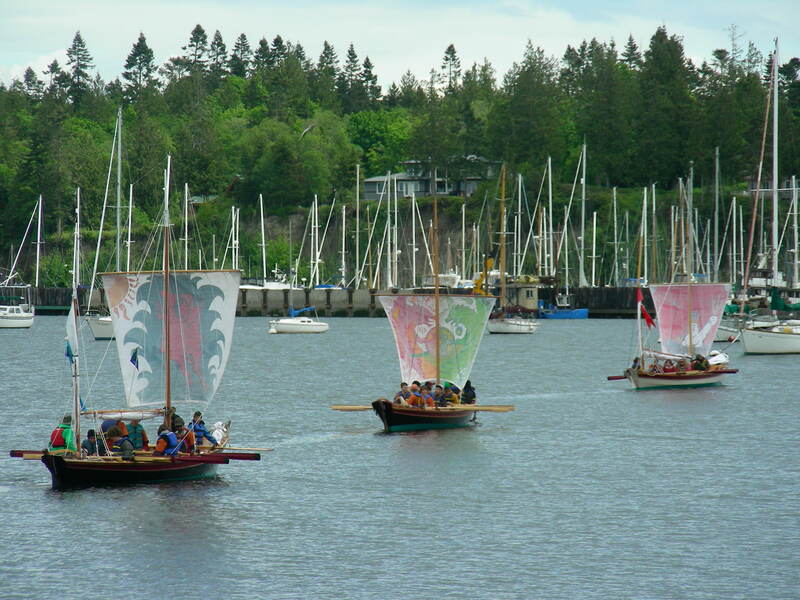 The dream is to have youth groups from shoreside communities up and down the Puget Sound building and Voyaging in these YES crafts. Community to community, up and down the Sound, exploring and studying, voyaging together or visiting each other’s ‘Safe Harbors’. Also summer programs, rowing, seamanship training with Boat School students, trips for all ages, and whatever the people need – A true Community boat. 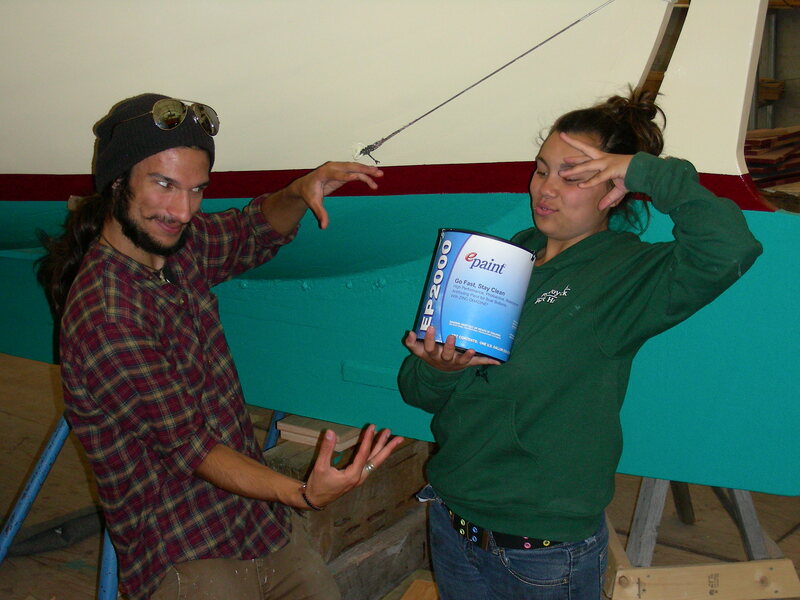 A partnership between Chimacum School (PI program), Port Townsend School (ICE program), Northwest School of Wooden Boatbuilding, 4-H/WSU, and Puget Sound Voyaging Society has formed to build and sail these boats. Journeyman (a nod to the craftsmen who go through Apprenticeship, then Journeyman, then Master in their life) was built with students and volunteers during the 2009/2010 school year by the Community Boat Project. This vessel now belongs to Camp Four Winds. Onward was built during the 2009/2010 school year. 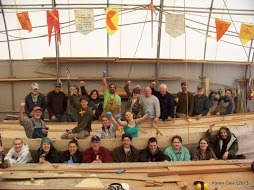 36 students, 50+ volunteers, and 5,000 volunteers hours went into the building of the vessel. After participation in the Race to Alaska in 2016 she was donated to the NW Maritime Center. Dragonheart was completed in the school year (2011/2012). Epic Launched in 2017 Epic is our largest Longdory. Unlike her older sisters she is rigged as a stays’l schooner. Both Dragonheart and Epic are currently used for the weekly Voyaging classes.